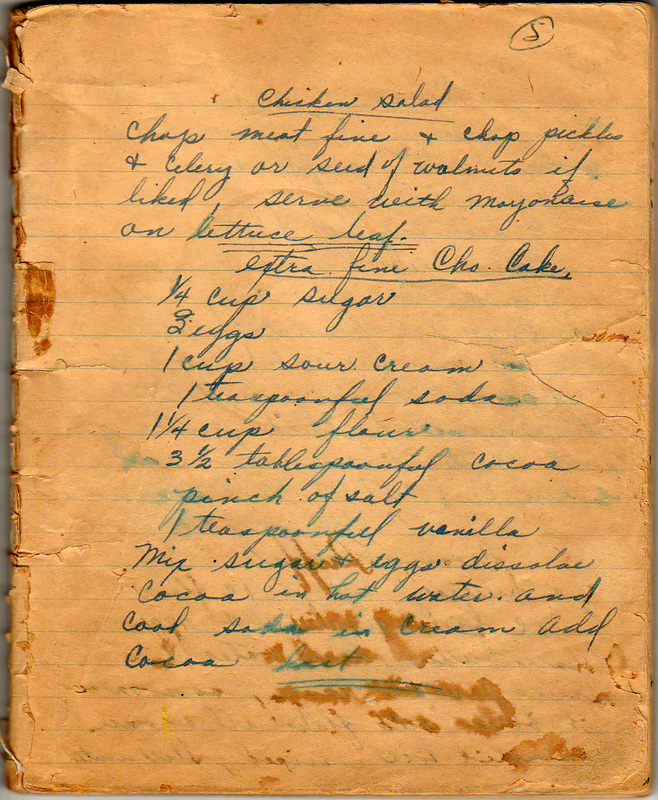 This recipe is from the first (existing) page of the notebook; here’s the page in full (click to enlarge). Chop meat fine and chop pickles and celery or seed of walnuts if liked, serve with mayonnaise on lettuce leaf. Made with cocoa and sour cream.